We are slowly preparing for the fall season but we're taking a bit of summer into the next season. We're loved the bold, tribal pattern we've been seeing in footwear over the summer and will be implementing some of that edgy prints into our fall wardrobe. 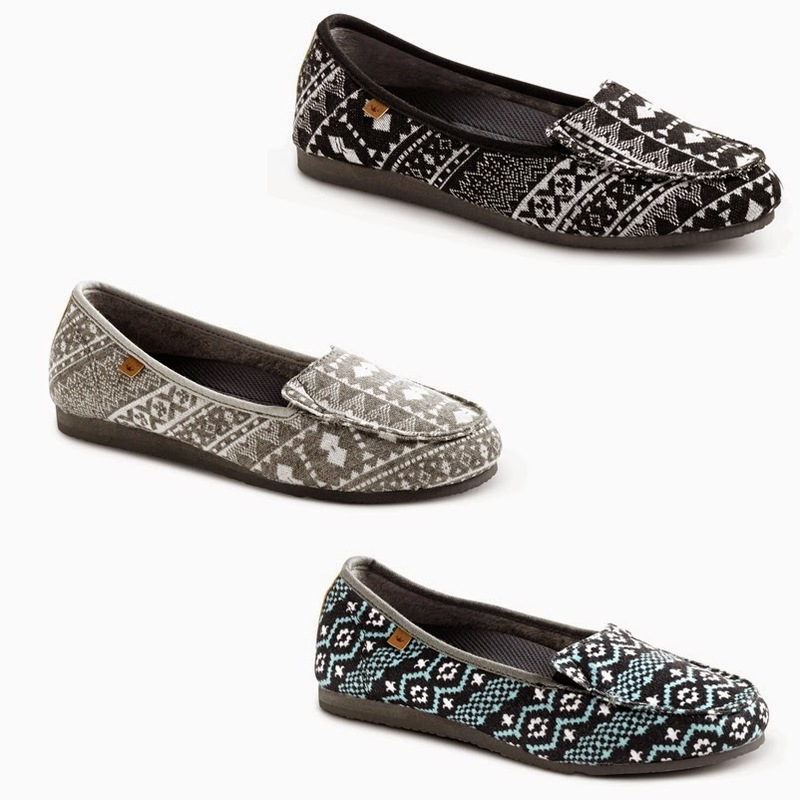 that is why we are head over heels (pun intended) in love with these Freewaters Footwear Snuggle Bug Slip-on Shoes. Not only are the super comfortable, they boasts just the eye catching patterns we're looking for. The classic slip-on features a stretch fit elastic at the tongue and heel for a comfortable, custom fit; travel friendly packability; a supportive, pillow-soft insole; medial and lateral arch support; a stabilizing heel cup; quilted pads for air flow and 4-way flex grooves; a non-slip, non marking sponge rubber that provides a soft flex and natural feel; and is Vegan friendly as it contains no animal materials or by-products.The Snuggle Bug comes in four patterns/colors and retails for $60.00 on the Freewaters Footwear website. Aren't they adorable?